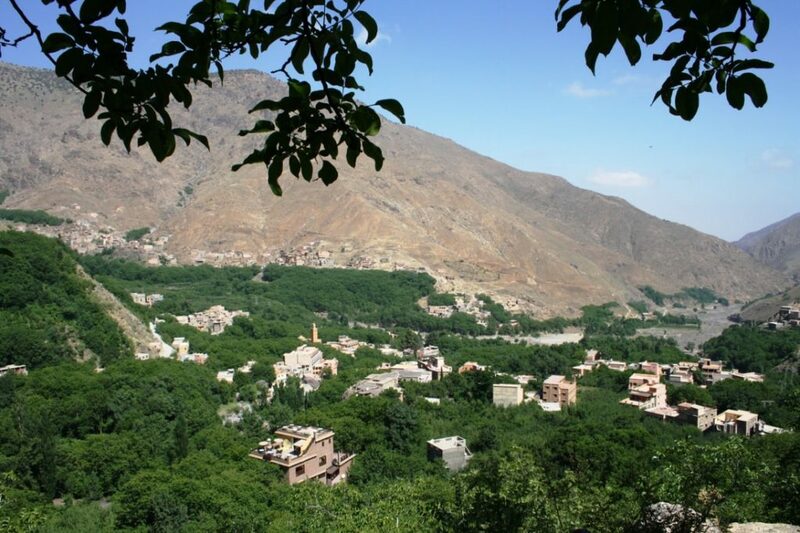 At the base of Mount Toubkal and around 65km south of Marrakech is the Berber village of Imlil, which has grown up around the mountain tourism industry. 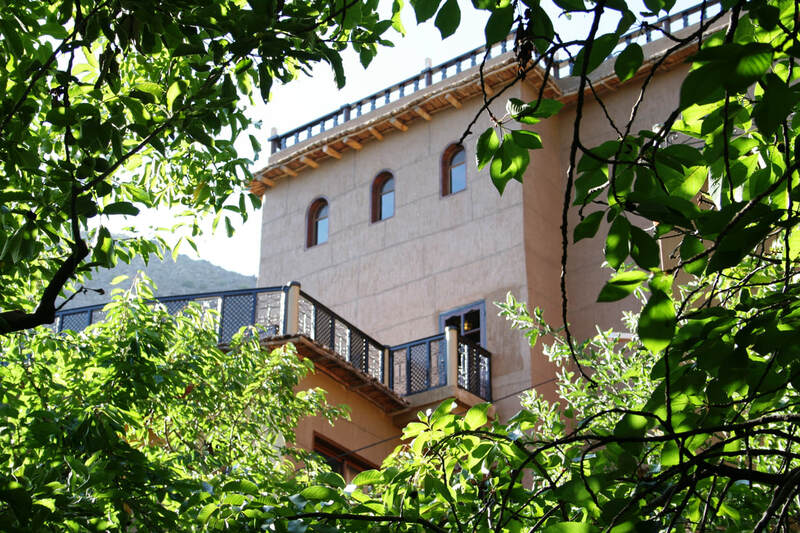 Towards the back of the village, backing on to the river and pathways leading up the valley is the family-run hotel, Riad Jnane Imlil. 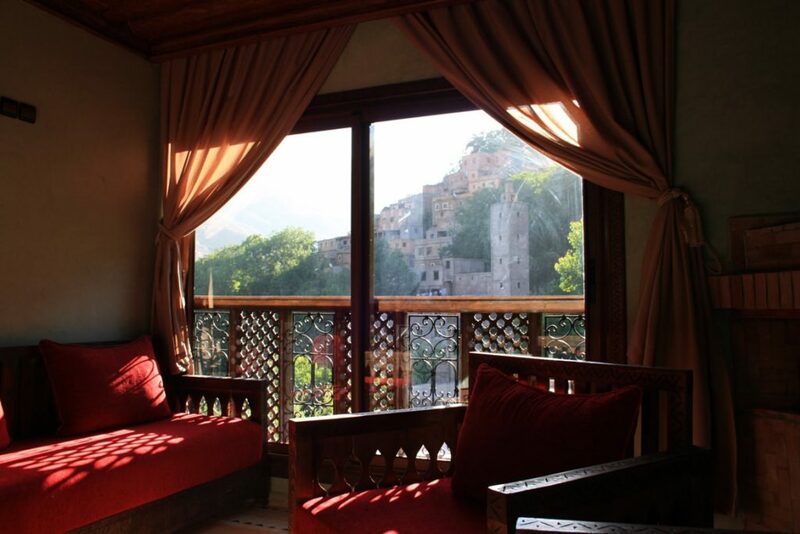 Following the principles of Berber hospitality, the owners consider their customers to be guests in their home and treat them as they would wish to be treated themselves. As such it is built in what was the family dwelling for 100 years before flash flooding devastated Imlil in 1995. 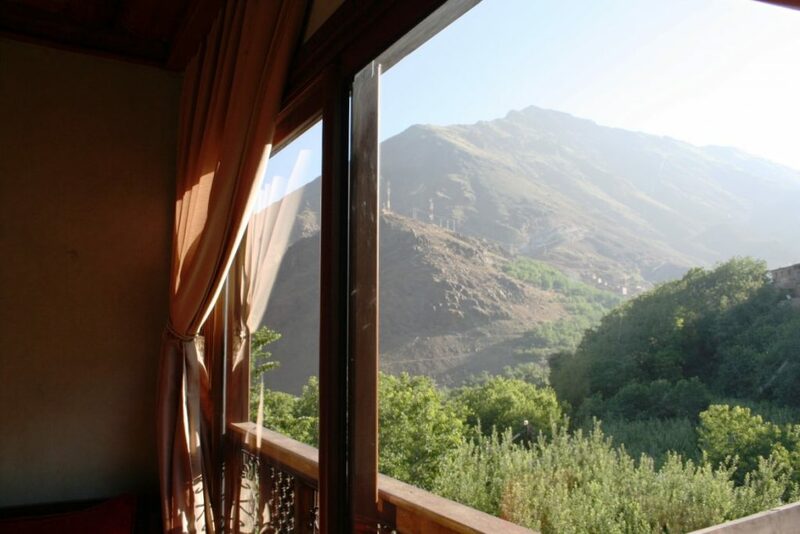 Restoration of the village, its economy and the property itself took a long time but by 2010 brothers Mohammed and Mustapha were well on their way to making their home into a mountain lodge that would welcome travellers from around the world to experience the opportunities available in the High Atlas mountains. 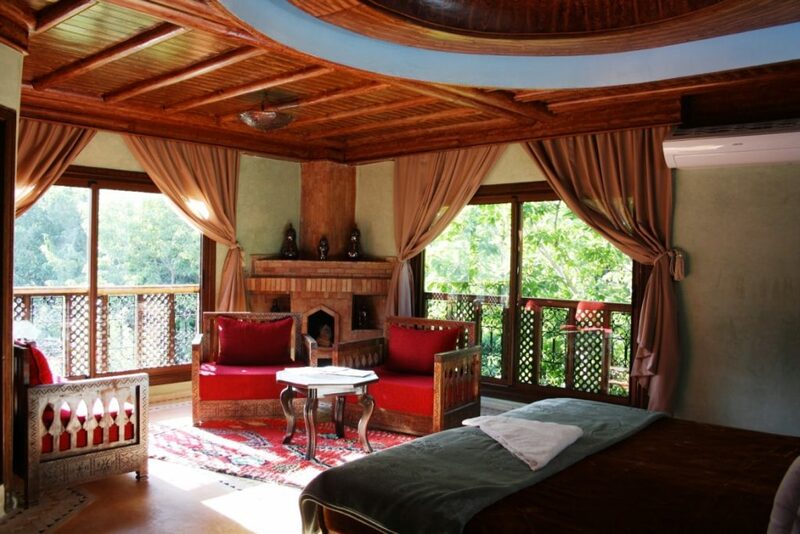 In restoring the building, the brothers employed local craftsmen and specified traditional Berber and Moroccan materials. 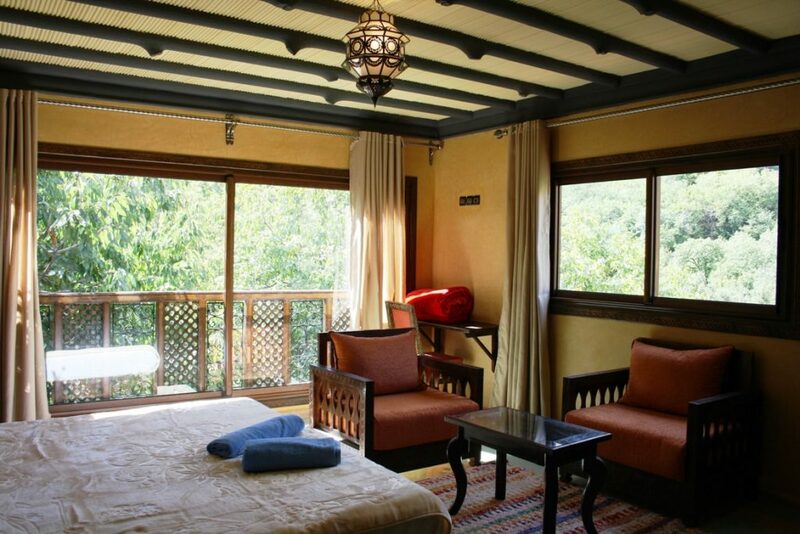 These included the local Berber waterproof lime plaster called tadelakt which is used both on the walls and to construct seamless, built in washbasins and shower cubicles. 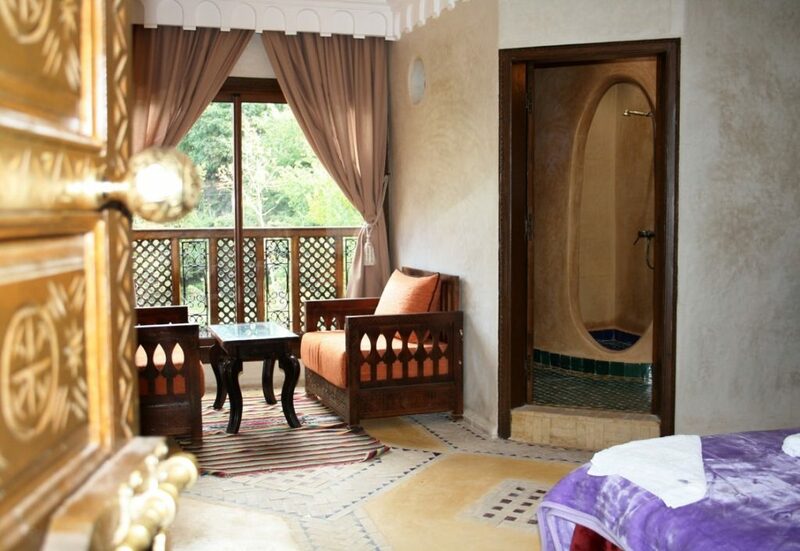 In the local Berber language, Tadelakt means to massage and it has been described as hard as a rock, soft as silk. The material is expensive but it has excellent thermal properties, helping insulate against the cold winter nights and hot summer days. Other local building materials they used included Moroccan zellige tiles, which are both aesthetically pleasing and highly practical. 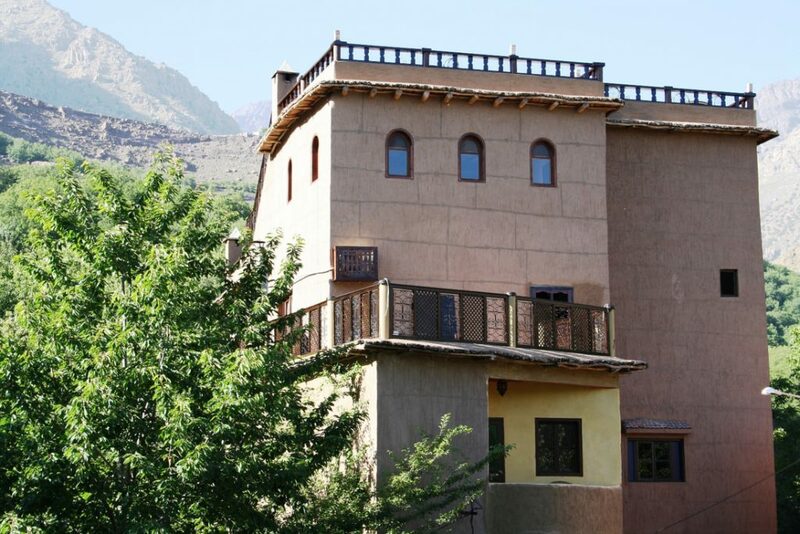 The hotel has nine en-suite rooms, some with underfloor heating, and panoramic views of various aspects of the Imlil valley and surrounding peaks. 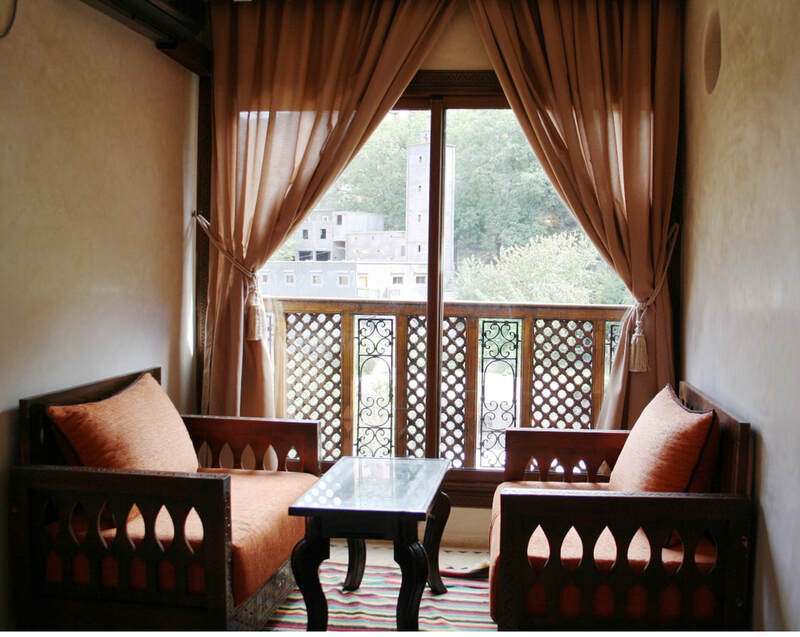 Deluxe suites also have log fires and balconies with tables and chairs from where, in the summer at least, one can relax and watch intensely bright stars and meteors against the dark night sky. In winter this remains possible of course but one might wish to dress up a little warmer. 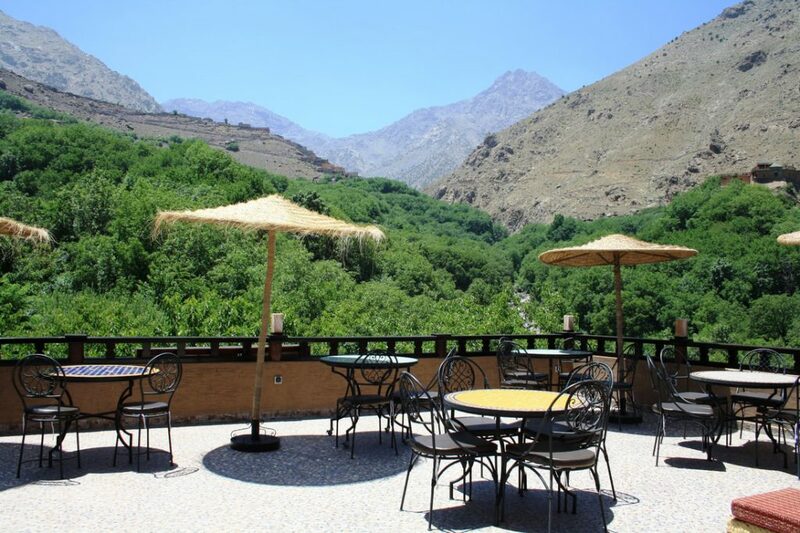 For a full panorama, day or night, taking in Toubkal, the surrounding valleys, their Berber villages and the lower Imlil Valley, the rooftop terrace is a space to relax, eat with table service and socialise with other guests. Looking out over the peaks, it is possible to get a good idea of the terrain and plan your walks and other activities. Part of the attraction of Imlil is its tranquil and beautiful setting and this is something the brothers care for and wish to maintain, paying people to keep the environment clean and tidy. They see it as important to be responsible members of the local community and as such, they have contributed to maintaining the roads in the village and rebuilding the local mosque, as well as providing employment opportunities for people from the village. 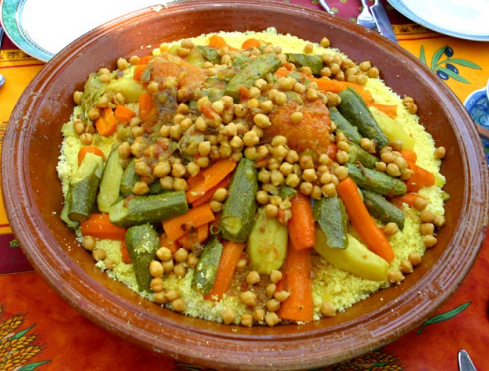 Much of the cooking is done on wood fires and Omar, the chef, says that if you want tagine, the local signature dish, to be good you must use a wood fire. Another important aspect of localism and reducing the hotel’s footprint is the recycling of food scraps, either for compost or cattle feed. 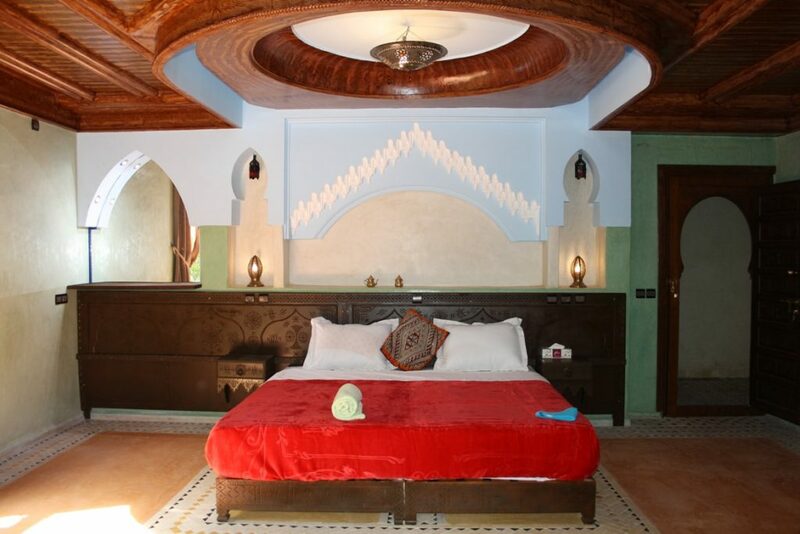 Riad Jnane Imlil is a place to stay for those who want to experience genuine local culture and relax without pretension or artificial protocols. What you see is what you get with Mustapha, Mohammed and their family – the hospitality is for real.